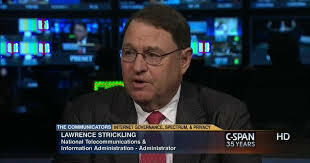 Rick Manning has released a statement on behalf of Americans for Limited Government that National Telecommunications and Information Administration (NTIA) performed no antitrust analysis even as it proceeded with the process to create an independent body to take over IANA oversight responsibilities that will cede the Internet Assigned Numbers Authority (IANA) functions to the Internet Corporation for Assigned Names and Numbers (ICANN). Recently NTIA wrote, “We announced on June 9 that the transition proposal developed by the Internet multistakeholder community meets the criteria we outlined in March 2014 when we declared our intent to transition NTIA’s stewardship role related to the DNS…..
“NTIA’s admission that they failed to consider the antitrust ramifications of transitioning governance over the Internet’s domain name system to ICANN since 2014, covering the entire period of the transition, is simply stunning. The antitrust implications were discussed in the 1998 White Paper prepared during the Clinton Administration that is effectively the Holy Grail for those seeking to know about Internet governance issues, yet somehow the politically blinded Obama Administration missed the obvious point that ICANN loses its anti-trust shield should the government relinquish control over the property to them. This, even as NTIA has in essence been preparing to create a global monopoly over the Internet’s domain name system. They didn’t even bother to ask if there would be any concerns with that. Simply unbelievable. “The irony is that one of the false fronts put forward by those who are pushing the giveaway is that it will prevent a ‘breaking’ of the Internet, yet losing antitrust protection creates significant risk that Internet governance will be broken to bits, as different entities attempt to legally mirror ICANN domain name auctioning functions. “Perhaps most importantly, the admission that anti-trust ramifications were not considered demonstrates that NTIA failed again to follow Congress’ mandate that they present a report on what could go wrong should the giveaway move forward. Rather than raise this obvious point and ask for a continuance of some form of antitrust exemption similar to Major League Baseball their failure to even stumble across this problem clearly demonstrates that the Obama Administration has given zero thought to the potential downside of this giveaway. “This comes atop NTIA having apparently performed no legal analysis on whether it even had the requisite legal authority to relinquish the IANA functions in the first place prior to announcing the transition and NTIA violating Congress’ explicit prohibition on using funds to proceed with the transition the past two years even as the agency was traveling all the world and collaborating with multistakeholders working on the transition.